We are referred as a leading Sunshine Recorder Manufacturer and Supplier from India. 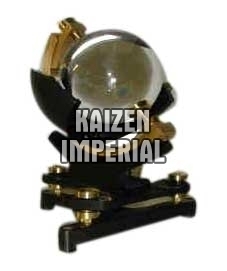 Our range of high quality Sunshine Recorder is fabricated from bronze bowls that are uniformed and annealed for good surface finishing. Besides, this instrument is always provided with a one year recording graph, and standard stenciled curve for comparison. This instrument particularly measures the amount of sunshine at a particular area.